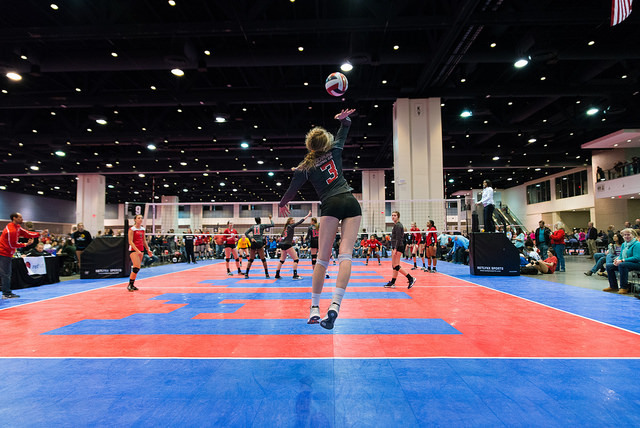 One of downtown Raleigh&apos;s largest youth sporting events took center stage this past weekend as 156 girls volleyball teams visiting from N.Y. to G.A. 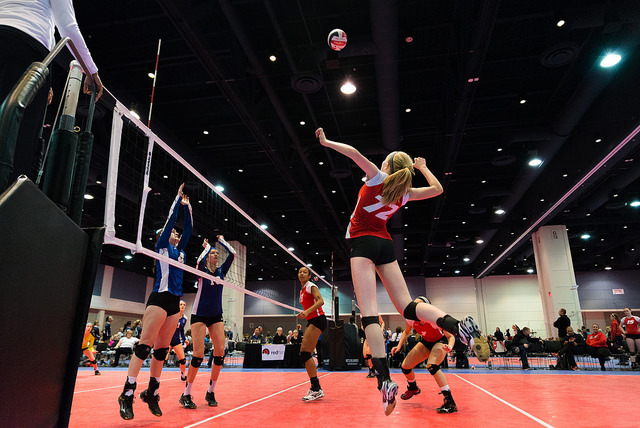 invaded the Raleigh Convention Center for a two-day tournament, Mar. 7-8. 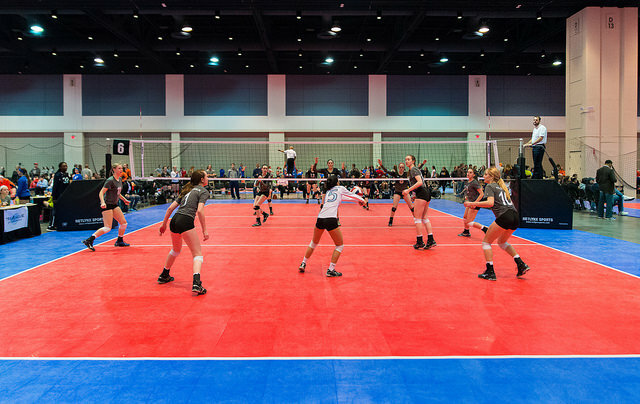 Triangle Volleyball Club hosted the Mid-Atlantic Power League (MAPL) event, for which GRSA is a host partner. 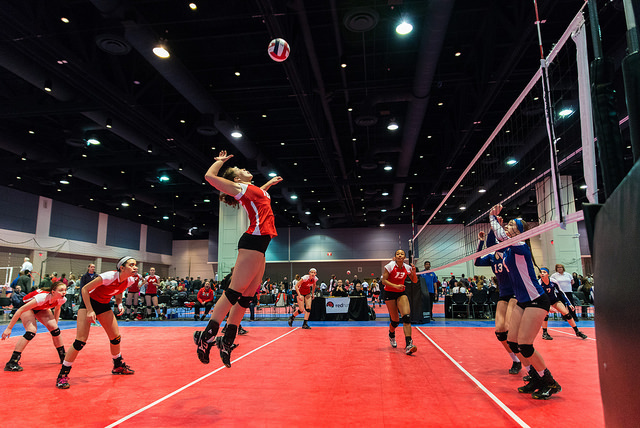 Twenty-four indoor volleyball courts were laid out on the Raleigh Convention Center&apos;s exhibit hall floor, setting the stage for non-stop action for athletes, coaches and spectators. 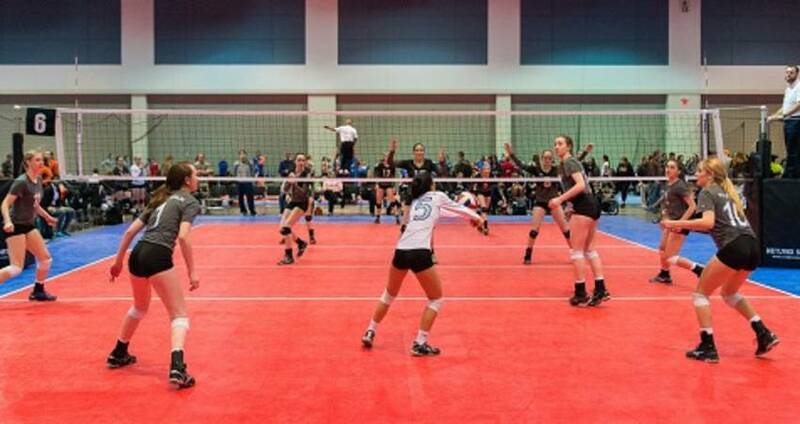 The event brought in 4,000 total visitors for the weekend and more than 1,500 hotel rooms were booked. See the photos below, and click here for a full gallery from the event. As always, follow GRSA on Twitter and Instagram for more photos and information on the Raleigh sports event industry.